The present report emphasises the significant advances that have been taking place in Spain since the late 1970s in terms of improving living conditions and promoting the social inclusion of Roma, a process facilitated by democratisation and the mobilisation of large sectors of civil society in favour of Roma inclusion, an expansive labour market from the late 1990s -- which was built on labour intensive economic sectors and incorporated a significant number of Roma in remunerated employment, and the universalisation of the welfare State, which was generally inclusive of Roma. Universal and free health care has significantly improved the health status of Roma; minimum income schemes have prevented extreme material deprivation among many Roma; the access of many Romani families to social housing in desegregated urban contexts have contributed to reducing (although not eliminating) ethnic concentration and territorial marginalisation; and education has been increasingly inclusive of Romani children. However, the processes of social inclusion and the improvement of living conditions among Roma, in spite of a decline in traditional economic activities, persistent poverty for a certain segment of the Roma population and racial discrimination in all social fields, are at risk and could come to a standstill with the onset of the crisis and its aggravation in the past five years. Moreover, the policy responses to the crisis could lead to a deceleration and even a reversal of decades-long processes of Roma inclusion. It is worth noting that the economic crisis and the policy responses seem to affect to a larger extent the most vulnerable sectors of Spanish society, including Roma. The report thus highlights the complicated national social, economic and political context in which the Spanish National Roma Integration Strategy (NRIS) was adopted. 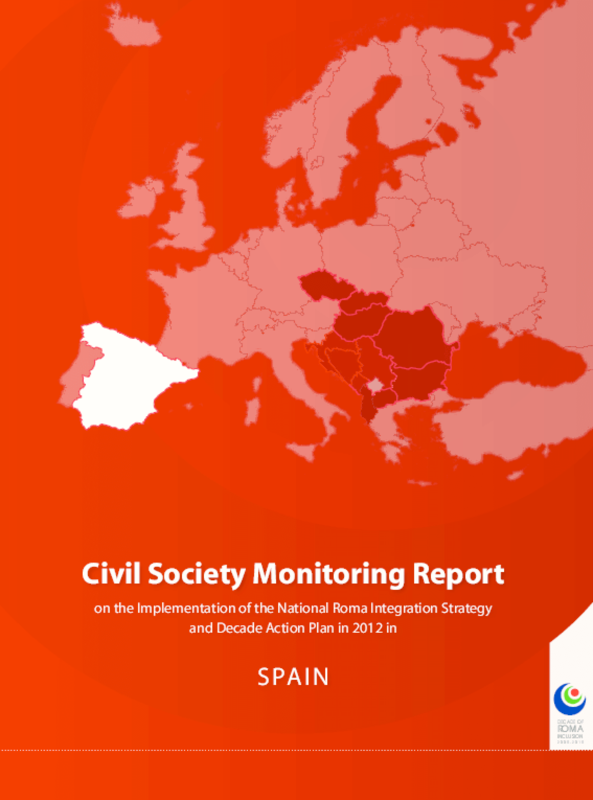 The Spanish NRIS is highly valued as a strategic policy document, which aims to tackle comprehensively the disadvantages of the Romani community through an integrated approach, delineates adequate instruments and co-ordination mechanisms to achieve further advances in Roma inclusion, and allows public authorities to measure progress through well-defined qualitative and quantitative indicators. Nevertheless, it must be emphasised that the NRIS was adopted in the midst of deepening economic crisis, which is leading to significant budget cuts, especially in public health care and education as well as minimum income schemes, which are strategic areas of Roma inclusion. On its side, the fight against discrimination has been subsumed under the overarching objective of generating employment and achieving a more flexible labour market, which further excludes 'non-competitive' Romani workers from a shrinking job pool, as manifested by a threefold rise in unemployment rates among Roma since 2008. Welfare cuts and the crisis of the labour market have generated a manifest degradation of living conditions among many Romani families since 2008. It seems that the austerity measures could cause the apparent postponement of the implementation of the NRIS, as there is no indication that new public investments have been approved as a direct result of the adoption of the Strategy. The crisis and austerity could therefore be considered as the underlying structural determinants of present and future Roma inclusion processes, and could condition negatively the NRIS's implementation and its potential to improve Roma living conditions in the coming years.